Scott has been at Stellasoft for nearly 3 years and has once again progressed, becoming our new Team Leader in Back End Development. Since Scott’s first day at Stellasoft we have marveled at his ability to code complex systems that are beyond normal comprehension, and we honestly believe he is one of the best developers there is. Scott has many strengths, the biggest of which being his extremely logical mind and his ability to solve complicated problems. To give you an example of Scott’s wizardry, he is able to tell you, from memory, Pi to over 50 places and recite the alphabet backwards in under 3 seconds! 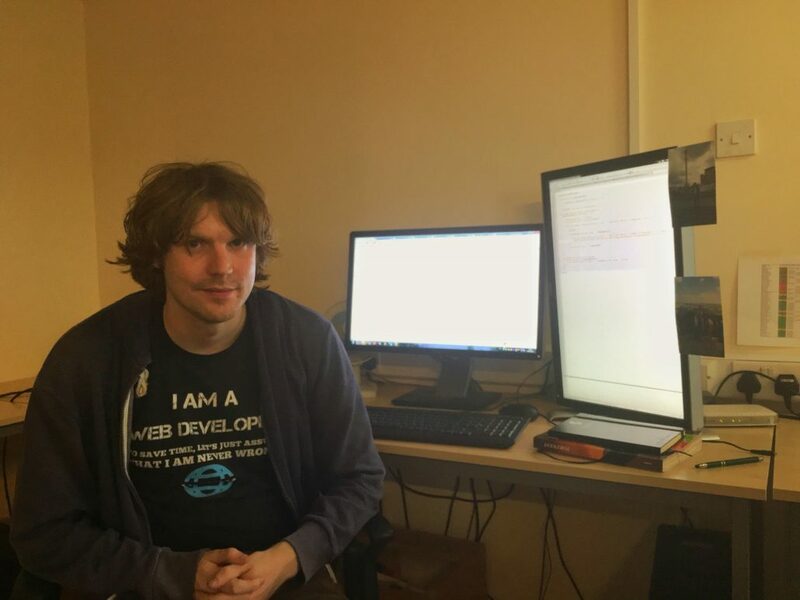 His contribution to projects is invaluable – he makes sure everything works as required behind the scenes so that the websites we create operate flawlessly. He has an enormously extensive skill-set that he somehow manages to consistently widen every day. On a regular day at the office Scott uses PHP, including a range of tools such as Laravel – however, recently he has also been creating his own PHP framework in order to further meet client needs. Client side, he uses JQuery for form validation and processing. We are very happy that Scott is continuing to thrive at Stellasoft and are confident that he will continue to do so!